As a group, Millennials represent a major market force in terms of buying power, spending $200 billion per year. With women responsible for 85 percent of all U.S. consumer spending, that translates to $170 billion in spending power annually for Millennial women. That’s a lot of money on the table. And most marketers are already behind the ball because 84% of Millennials admit that they don’t trust advertising. Following are some ideas for building relationships with these important consumers. Where do Millennial women live online? A full 90% of Millennial women indicate that they use Facebook every week. They also make up most of the users on Pinterest and Instagram. All three social channels provide excellent opportunities to build a relationship with these consumers and grow awareness for your brand. Smart marketers create opportunities to connect openly with these women, either by participating in online conversations, using hashtags or creating giveaways. Photos and funny videos get the most attention from this group. As marketers, you should make sure both are in your marketing arsenals. 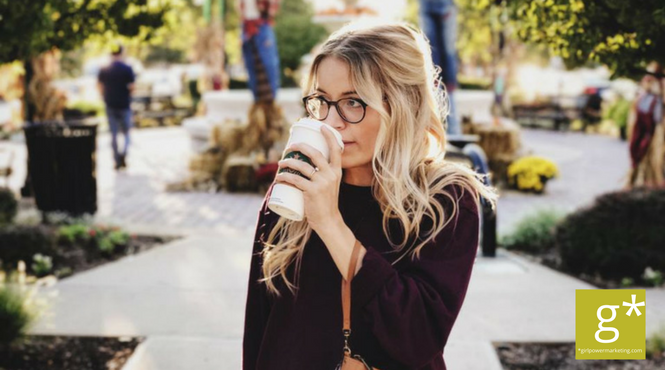 And while it’s safe to say most Millennial women live and breathe online, they also rely on in-person conversations to sway purchases. Nearly 70% seeking in-person word-of-mouth recommendations from friends, family and their online communities. As a marketer you must speak her language if you want to catch the eye of a Millennial woman. They are looking for information they feel is tailored to them and that shows you really understand them. Millennial women like to talk about beauty—with nearly 80% saying they think about, research, or discuss beauty topics. 75% of Millennial women say they try products based on a recommendation. Topics with a focus on “real” beauty and feeling comfortable in their own skin are of particular interest. Perhaps even more popular than fitness and beauty is food, with 82% saying they research and discuss food on a regular basis. This includes sharing opinions by posting online reviews and ratings, and looking for content about the hottest new restaurants and bars and popular new recipes. And those houses they haven’t been buying? By 2020, Millennial women will represent 2/3 of first-time home buyers – either as part of a couple or on their own. The majority (79%) feel that their home is a reflection of their personalities, and like to decorate as a form of self expression. Their love affair with Pinterest and Instagram is obvious as they seek out projects and products that fit their tastes through beautiful online images. Savvy Millennial women don’t want broad, generic content. They look for content that is written specifically with them in mind, ideally in bite-sized pieces that makes it easier for them to share. According to Women’s Marketing, 59% of this audience want to see real stories about families, with images that closely match their daily lives. They don’t want to see “the glam moms” or dads who are unrelatable. So marketers will be most successful by keeping it real. It’s important to recognize that Millennial women are not a one-size-fits-all group. There is a 15-year age gap between the oldest and youngest of these women, which makes it important for marketers to understand which Millennial group they’re speaking to. Brands must create unique, appropriate content on the right platforms to successfully engage with the particular Millennials they are targeting. This generation of women is committed to social good and making the world a better place, using their purchasing power to support brands whose values align with their own. Today, marketers must acknowledge the triple bottom line that exists – people, planet, and profit. Smart brands will align with a goal or movement that matches their own core values, and then work to inspire their Millennial audience to become part of that movement. Finally, influencer campaigns are especially important with this group because they see this content as a trusted friend providing information or a recommendation that reflects their own ideals and expectations. But if you’re considering a celebrity influencer, think again. Only 10% of these women are interested in seeing celebrities in the content they consume. Reaching Millennial women doesn’t have to be hard. Marketers simply need to take the time to understand them and acknowledge what they want to hear.